These Side characters (besides a few) will not be featured in the Musical itself BUT will still get featured on the channel, via some extra songs. Some of them wont get as featured as much as other. The Characters Napstablook and Mad Dummy will be featured in one song though. I hope you consider auditions and good luck. Yes! The chorus is still open! We need more. 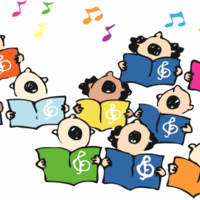 The Chorus has a harmony you can have a Low or High voice. Long ago, a human fell down far below into the underground, will they kill or spare? 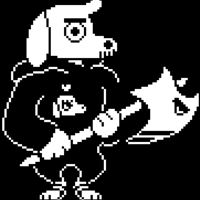 At this is the end of the Undertale. He’s a sad little ghost that doesn’t want any trouble, this time though he wants to stand up and fight against the evil human. Napstablook has a quieter but high tone. I didn’t expect you’d show up so fast? I guess its time to fight. 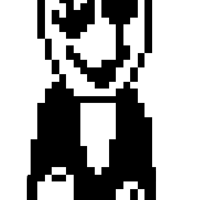 . .
Gaster is not a cannon character in Undertale, but still is there in the fandom, so why not have him in there. Gaster in the view of many has a evil and s p o o p p y voice. He as a low tower tone. You. . . Can see me? Hehe, Ive been stuck here for so long. You have made a bad mistake coming here. Doggo, he is a part of the K-9 Unti with Dogi, GDog and LDog, he can’t see anything an less the target is moving, doggo as a deeper and grindy voice. Where’d you go? I just saw you!? w-what?! I-I’ve been pet? PAT PET PAT PAT PUT PET. Lesser Dog as a high Pitch voice, very squeaky and high pitch. -having an argument with him/herself- maybe you shouldn’t cheat? Yeah well. . .maybe if you played better? I don’t have much of a sound for Nice Cream Guy, how about take some creative liberty and do your own interpretation of his voice? 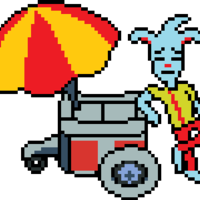 B-but isn’t it a perfect time to sell these cold treats? Jerry, whatta weeb, Jerry has a kind of a snotty and snort voice too him, he’s kinda of a medium tone, not to low, but not too high. Dogamy is a male so he has a deeper voice. Lower tone. We are the second place nose nuzzle winners. Y-you killed her? You monster! Dogaressa is a female so she has a higher voice. Higher tone. Y-you killed him? You monster! 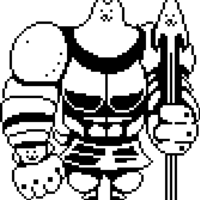 Greater Dog is a big guy with aswesome armor! But, he’s a big goofball! He’s a bouncy fun guy with a goofy voice. It is also a deeper tone. Hehehe, hiya! I’m greater dog, may I capture you human? Pet pet pet pat, pet? 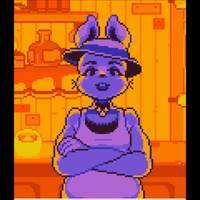 Not much info about this bunny, only she is female and has a medium tone voice..
Why Hello there, I haven’t seen a fresh face around here in awhile. Would you like to buy our stuff? 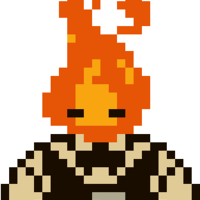 Grillby has no voice. Because he never talks. . . Yeah. From what I think Grillby has a Medium voice. He’s not too deep but no too high. The friendly bartender everyone loves.
. . . Sans. . .when will you PAY YOUR DAMN TAB?!. . .
Haha! Alright. . .heres your milk. 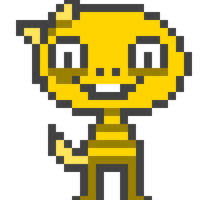 Monster Kid, (or MK) is a young child who LOVES Undyne, MK is a child so he has to have a child like sound to him. MK seems to have a higher pitch voice but still is male. WOW! Did you see that?! U-Undyne. SHE TOUCHED MY FACE! W-why are you looking at me that way? W-weren’t we friends? Mad Dummy, his a pissed off Dummy, I more of see Mad Dummy and a loud screaming guy with a lowish but not too low voice. Hey. Hey! HEY! What are you doing? Stupid. Stupid! STUPID! W-what? What’s thing feeling? Is it. . . Happiness. 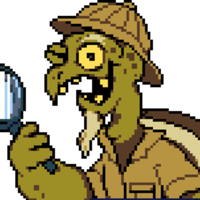 Gerson is an old turtle that fought the war of humans and monsters, he’s an old man now. He’s got an old deep voice to him. WA HA HA! Welcome to the shop! Wanna buy some stuff? Yeah, I’ve seen the old classic stories of KingFluffyBuns Himself. Wa hah hah! 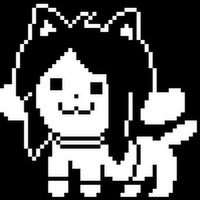 Temmie should have a VERY VERY VERY, high pitch voice. Like VERY high. pLease PAY, TEM nEEdS Muns to go to Cool eg. 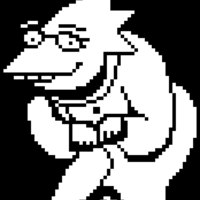 Alphys is a big nerd. . .she loves Undyne and stutters a lot. She is female so she doesn’t have a high pitch to her. O-oh my god. 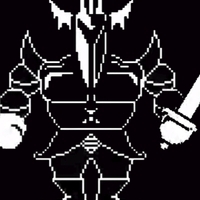 . . I-I’m not even dressed. . .U-undyne is at the door. . . I. . .i-I’m a real m-mess up aren’t I? O-oh. .
Royal Guard 01 and 02 should have a really deep voice, he’s a strong guard. 0-02 w-what are you doing? 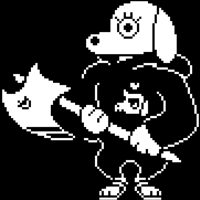 Hey, isn’t that the human that Undyne told us to stop over there? 0-01 w-what are you doing? Boy, its getting really hot in here. . . I think i should just. . . Take off my armor. 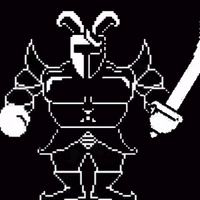 Asriel the song and ship name of Asgore and Toriel, Asriel is. . . Kind of a cry baby. He’s a child like MK, cause he has a striped shirt he’s gotta high pitch than usual male characters. C-chara what are you doing? I- i dont think I really want do this anymore. . .
Alright. . .Frisk, it’s time to go home. . .ill be seeing you around. 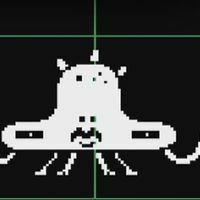 BurgerPants is a teenager, 19 years old. He’s got a deep voice. 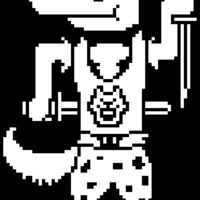 And goes crazy working for Mettaton. Listen to me little buddy, you don’t wanna grow up to like me. Hehe. Everyone. EVERYONE! 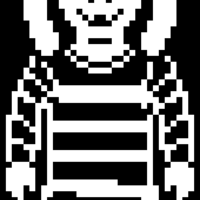 Thinks its fun to work for Mettaton. WELL ILL TELL YA. ITS NOT!